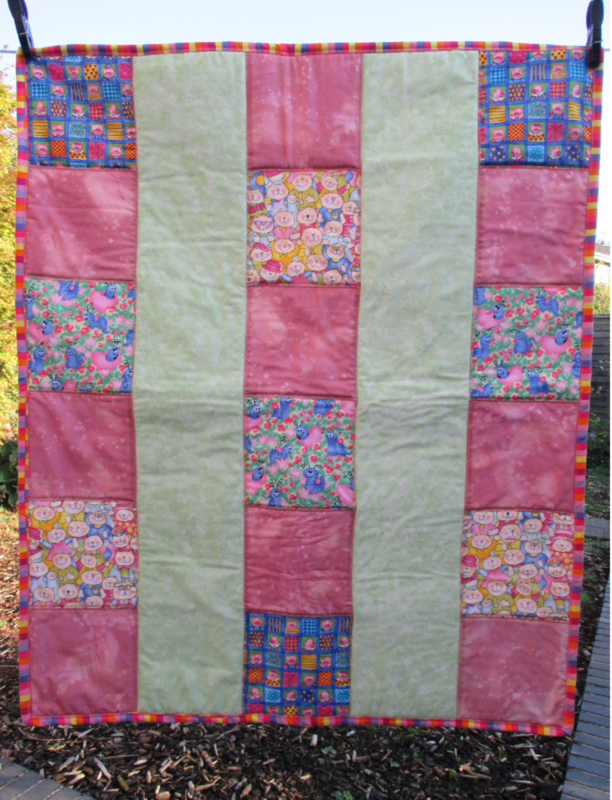 This is a very quick quilt to make, and can easily be made in a day. Make 3 strips from the 6½” squares. For each strip join 3 novelty and 3 plain squares, alternating them as you go. Press each strip. Join the long strips in between the 6½” square strips so they are alternating. Press the top. Sandwich together and quilt in your preferred quilt pattern. Add a binding.